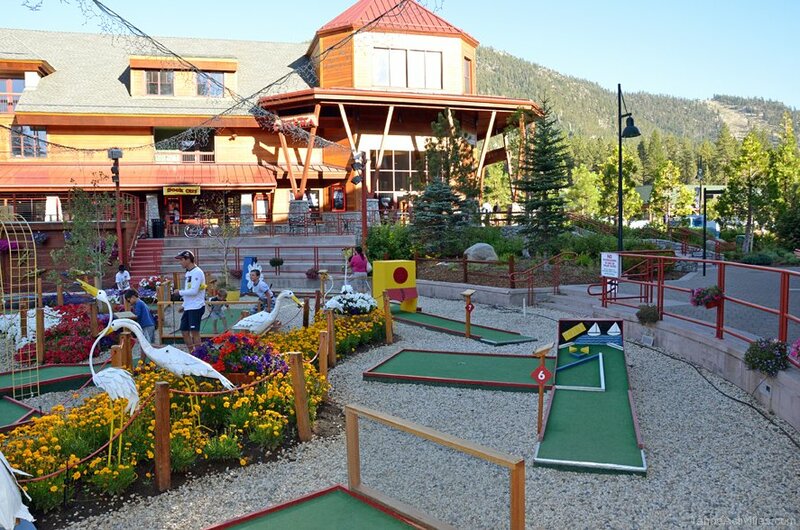 Heavenly Village Mini Golf is a 18-hole ode to all things “Lake Tahoe” featuring a windmill powered by snow skis, a bear that chomps golf balls and a paddlewheeler curiously made to look like the Tahoe Queen that cleverly carries golf balls to their final resting spot. 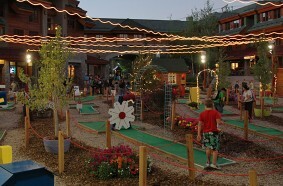 East Coast-based Mini-Golf Inc. designed the course which includes lights for those great summer evenings under the stars. 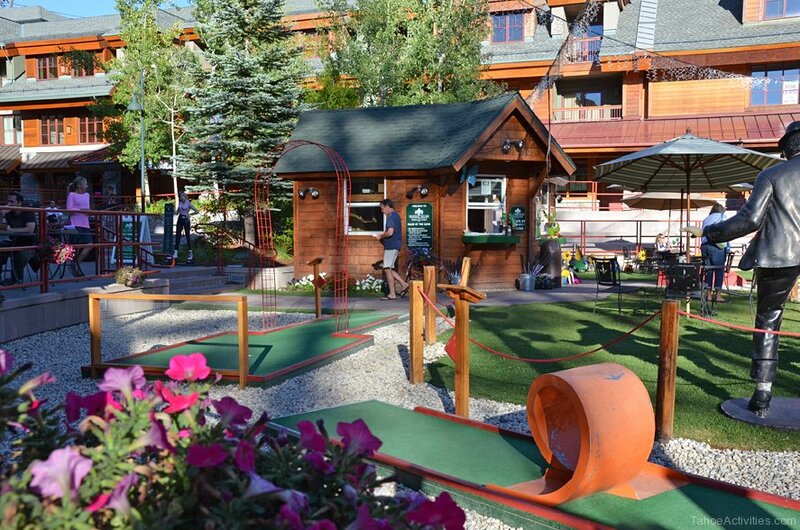 So bring the family down for a stroll through Heavenly Village and make time for a round of miniature golfing fun at Lake Tahoe. Open Daily through the summer. 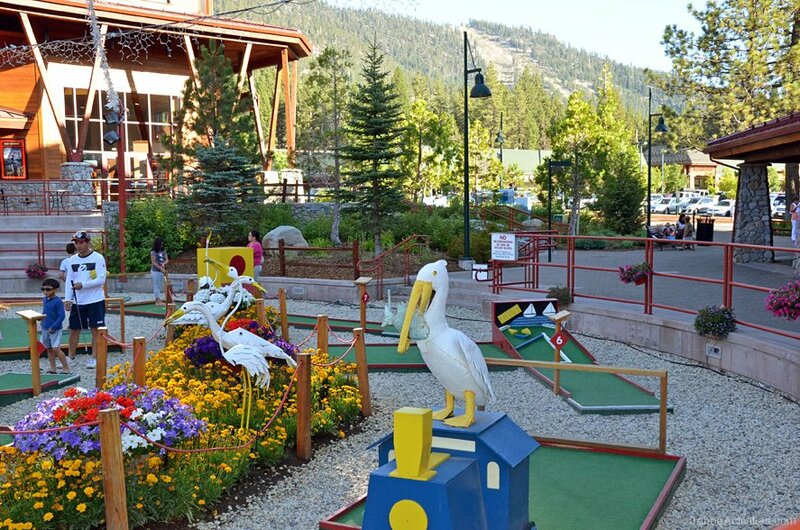 View other South Lake Tahoe miniature golf courses in the area.